Unique book combines fact and fiction | LET'S TALK BUSINESS! Teens – and parents alike – will welcome First Job Jitters, a new book by author and career coach Susan K. Maciak. First Job Jitters mixes fact with fiction. While riveted to the story of what happened to a missing 5-year-old, readers will absorb helpful hints from main character Anastasia Adams on how to find a job. Fresh out of high school, Anastasia desperately needs a job to pay for college. In the meantime, she takes young adults through the job-seeking process – with plenty of insights on how to choose a college and a career. 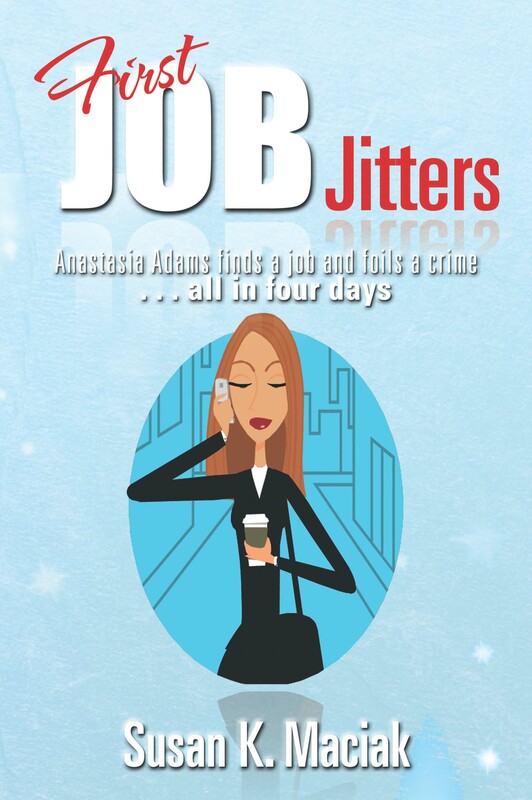 First Job Jitters combines a young girl’s adventure in landing her first real job with uncanny luck that leads her to help police solve a crime. While anxiously trying to sell herself in an interview and facing her first day on the job, Ana stumbles on clues that help her rescue a spoiled kid from his dim-witted kidnapper. Readers will learn many practical life lessons from Anastasia Adams while they unravel the mystery of a missing neighborhood child with her.